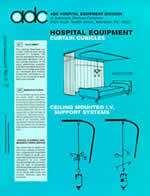 This is our full line brochure containing information on all of our tracks, track components, and IV systems. This brochure also contains specifications for track systems and dimensional drawings of the track systems. 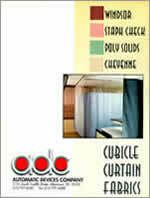 This brochure contains photographs of all of our fabric types as well as the various colors available for the fabrics. A single page form illustrating the various track layouts available. 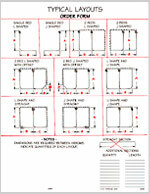 These sheets are useful for quotation requests and when placing orders. Blank areas are provided for dimensional information for the tracks and curtains. Current list prices for tracks, track accessories, and certain size curtains of each fabric type.